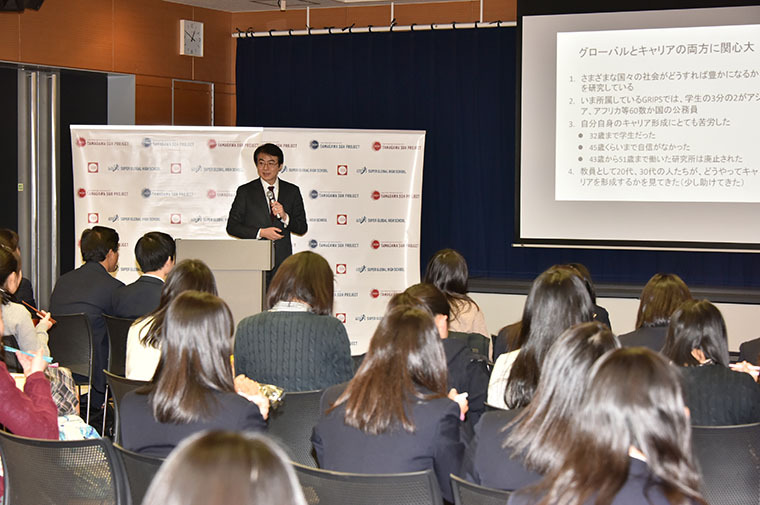 The first global career course lecture of the New Year was held with the theme being “Career development in the global age”. The students were asked what kind of things are necessary for active global involvement. 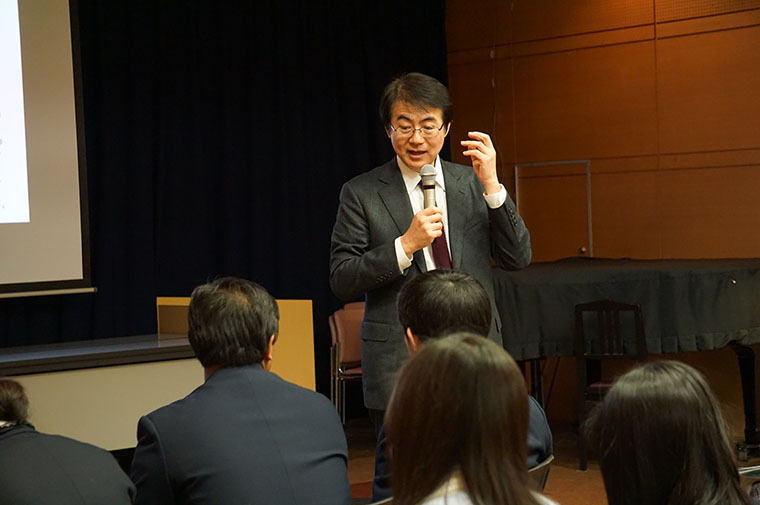 Mr. Tetsushi Sonobe, who is the vice president of the National Graduate Institute for Policy Studies and has achieved a lot of things in the field of development economics, talked about the “necessary power” he obtained through his own experiences. 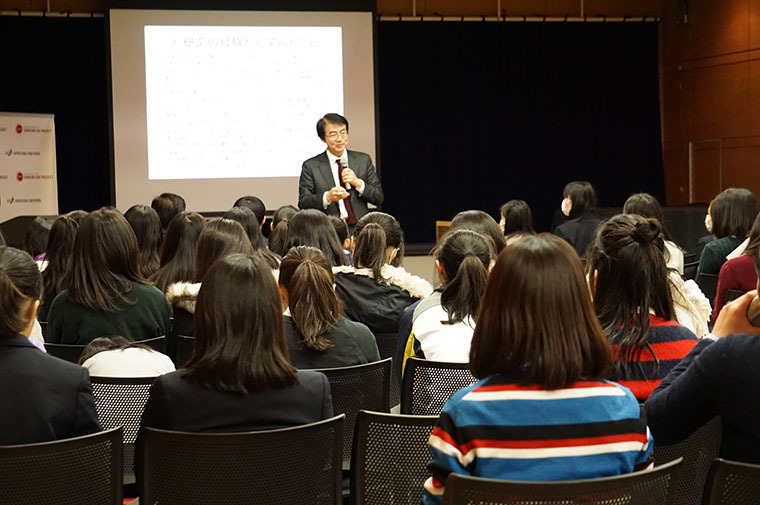 As Mr. Sonobe was soft-spoken and gentle, the students attentively listened to his explanations about topic. “Actually, there is not much difference between us all.” He said. “In Japan and other countries, ‘individuals’usually aren’t different, but the ‘society’ in which individuals live can be quite different. Some countries have a peaceful and affluent society, others have war and society as a whole is poor. So unless you understand the differences in the societies behind the individuals, true understanding and friendship can’t happen. Understanding the “society” in which individuals have grown up, serves as the basis for communication with people from all over the globe. That idea was conveyed to the students and backed up by his experiences involving the many people he had met in his life. 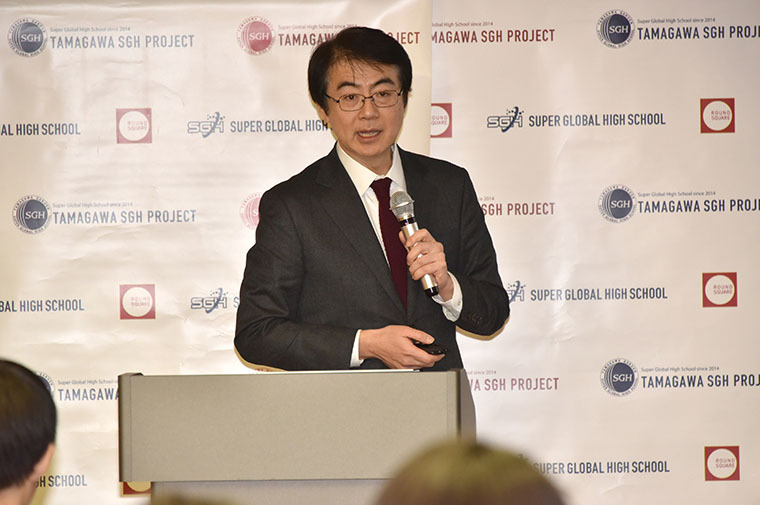 Next, Mr. Sonobe talked about the support and research activities he had done in developing countries. 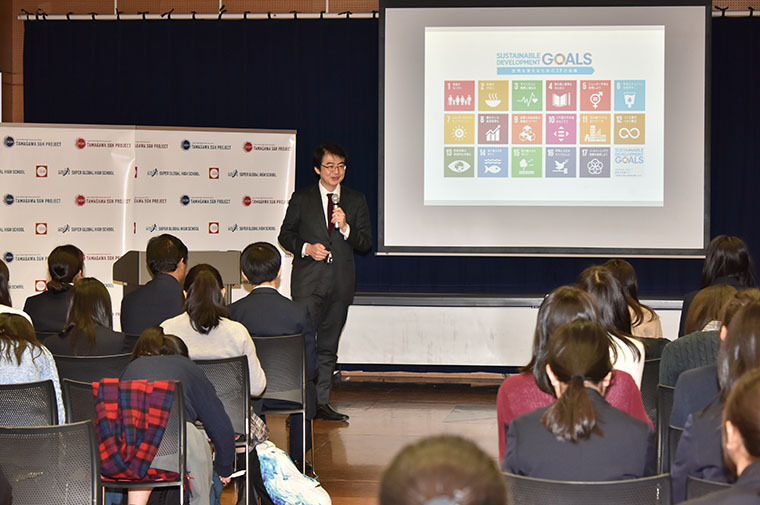 Development economics, which is the academic field that Mr. Sonobe specializes in, involves thinking about “Why are there poor societies and how can we enrich them.”. To answer this question, he has been exploring effective ways to improve business activities in developing countries for many years. 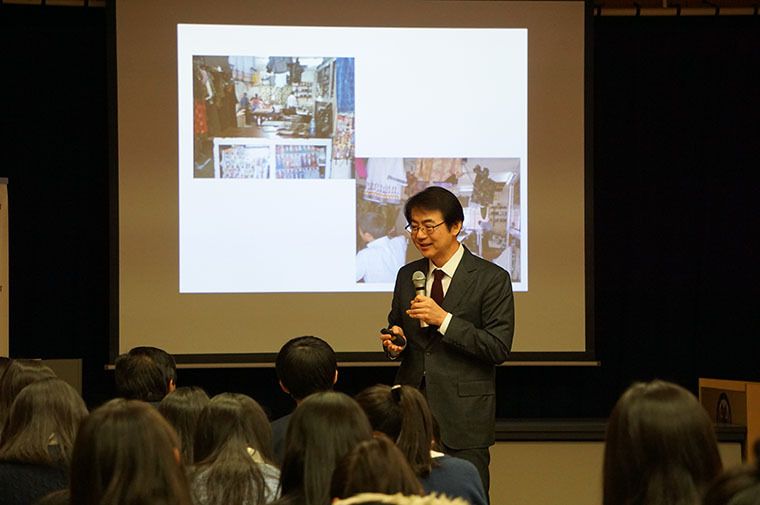 Mr. Sonobe explained the realities of companies working in developing countries. He showed photographs to illustrate his points. 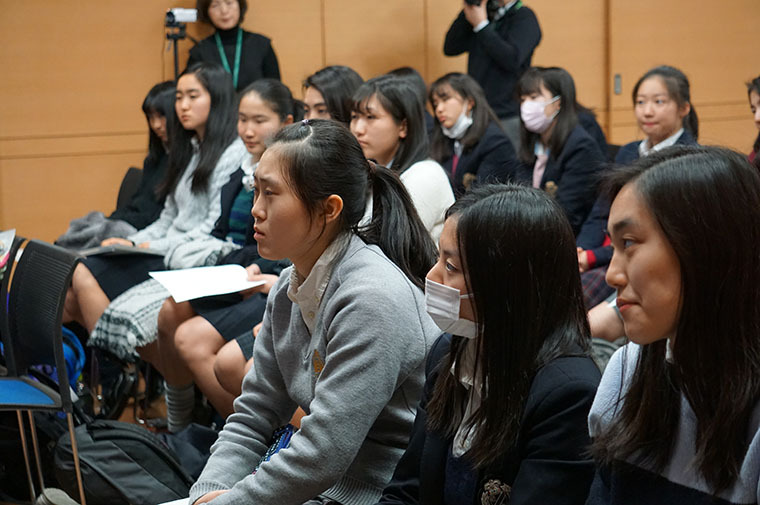 The students listened eagerly, surprised by the fact that it is often impossible for companies in developing countries to do what is common in Japan. “Despite the lower skill levels and the lower levels of efficiency, many of the managers in developing countries think that ‘I am doing well.’ So they do not try to improve the work environment even by working on fundamental things such as workplace organization. 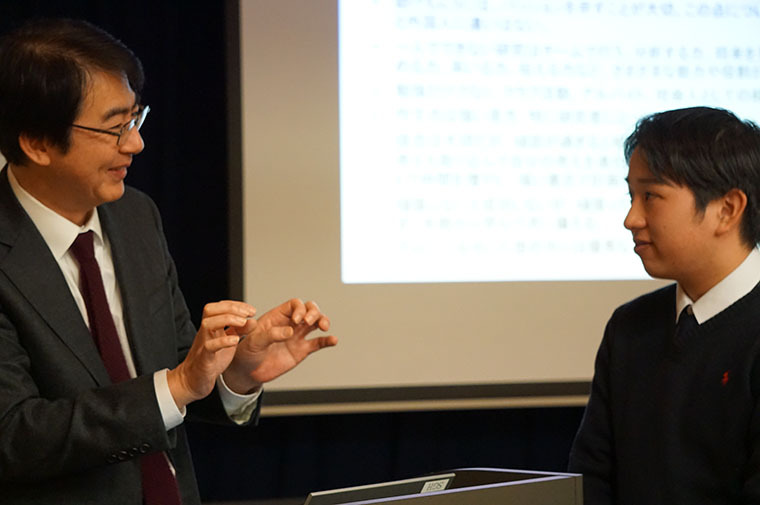 Mr. Sonobe has been working hard to increase the rate of development other countries. From his point of view, willpower is necessary to accomplish the goals we set. 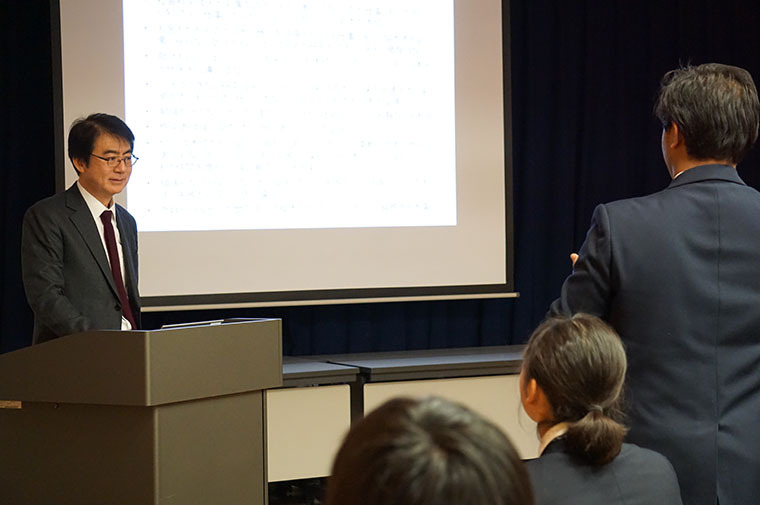 Finally, he said “I would like to share what I learned from my research experience”, Mr. Sonobe told students about the necessary attitudes we have to have in international situations and illustrated the reality of that using various actual situations he was involved in. 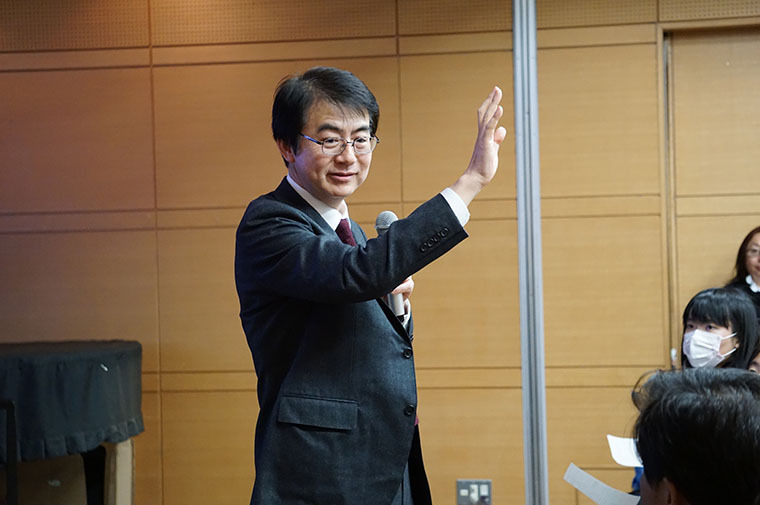 In the question and answer session after the lecture, the students got a lot of nuanced answers from Mr. Sonobe and gained valuable information about the “Reality of the World”. The students learned what skills they need to live together with people who have different backgrounds. 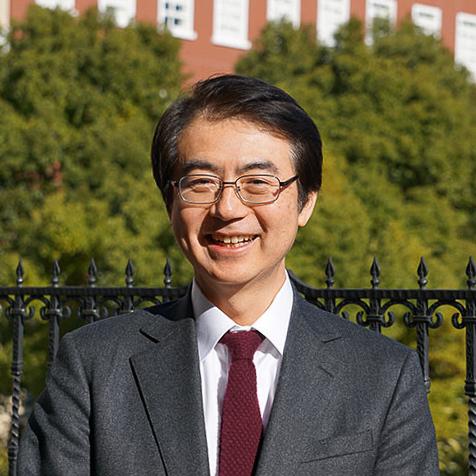 He graduated from The University of Tokyo in 1984. He received a doctorate in economics from Yale University in the USA in 1992. His specialty was development economics, mainly engaged in research on industrial development, corruption and poverty reduction in developing countries, and received a number of awards for his research and publications. Since 2003 he has been a member of the Graduate School of Policy Studies, and since 2014 he has been the vice president.